I’m sure many of you have seen, heard, or know of someone that uses a business to decorate their home or business for the Christmas season. And if you haven’t…chances are someone you know uses a service like this. So, if you’ve heard or seen an advertisement for such a service, did any of them mention if you rent or own the lights? More than likely, you will only rent the lights, which may be good for some homeowners…but why would you only rent Christmas lights…when you can own them?? Quick, make a list of everything you rent. …So, how many items were on that list? Probably zero (unless you’re leasing a car then maybe 1 or 2). Most of our clients own their homes…they don’t rent them. Many of them also own their lawn equipment…they don’t rent it (unless, of course, you use a lawn maintenance company). So why would you want to rent Christmas lights? It’s not much different. Now, if you know that you’re moving next year, or you know every year, except this one, that you’ll be on vacation during Christmas…then it might make sense to rent your Christmas lights. But even if you are moving next year…if you find a holiday decorating company that does not rent out Christmas lights, you can take them with you to your new location. Makes more sense then renting Christmas lights year after year, doesn’t it? Design – Now, it’s nothing fancy like our landscape design service, but one of our team members will come out and discuss your wants, needs, likes, and your budget. They will also give you suggestions on color, greenery, and additional items you may have not considered. When the second year comes, if you want, you can change up the colors too. You’re not completely locked into the colors chosen the first year. Installation – After you’ve decided what you want your holiday display to consist of, we will come out and install it. This can take anywhere between few hours to a day or more, the later for some of the larger holiday displays. Service – If a light goes out…no problem. If a strand goes wild and rebels against the rest…we’ll put it back in line. If the timer for your lights has gone whack…we will send out one of our holiday decoration therapists to uncover it’s underlying issues. If the neighbor kids throw a snowball through your window…no, sorry that’t not covered, but we can help you get it fixed. Take Down – When the time comes, we will get your lights taken down. We do like to keep our employees safe, so if there is ice or it’s simply unsafe to take your Christmas lights down, we will back at a later date, when it is safer, to remove them. Storage – That’s right…your Christmas lights will be kept at our secure facility the rest of the year, where you don’t need to worry about them. This will free up some space for you as well! 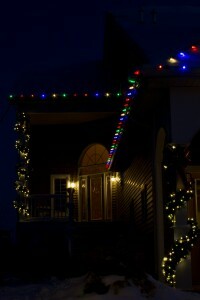 There are not many things that a homeowner rents, and Christmas lighting and decorations should be no different. First year costs will obviously be higher when you get to own the material, but subsequent years will typically be about half the price of the first year, which is competitive against renting lights year after year. 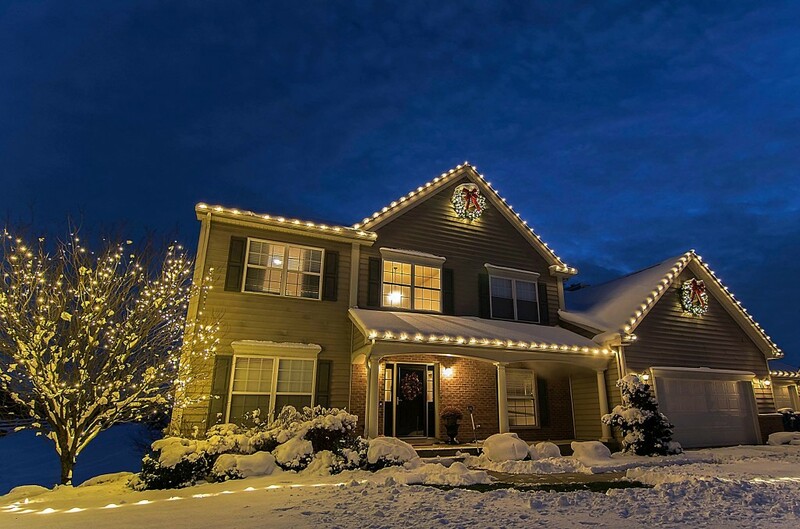 When you’re ready to OWN your Christmas lights instead of renting be sure to contact us to find out what we can do for you. You can also check out some recent projects for holiday decorating ideas, and check out our blog for additional answers to frequently asked questions.